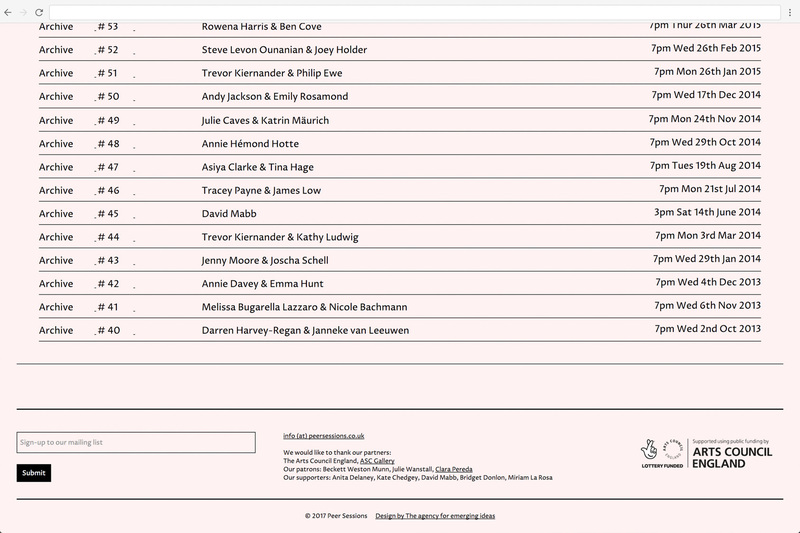 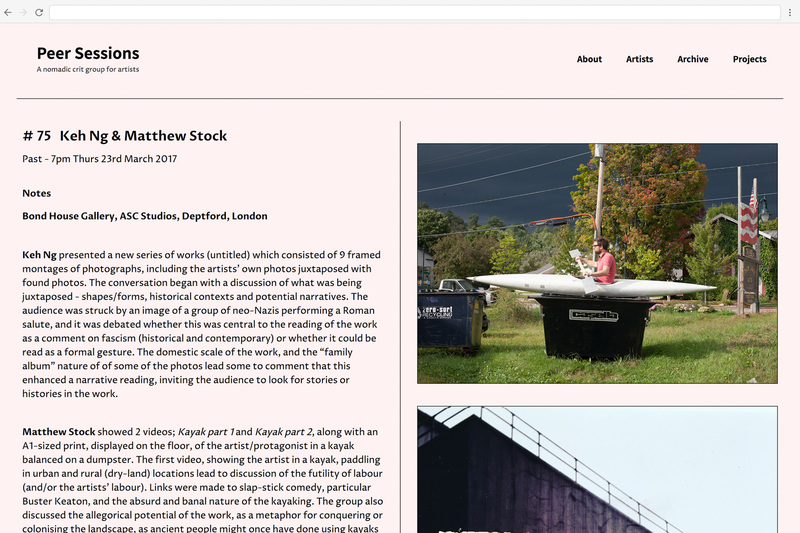 the agency for emerging ideas is a design studio based in London, UK. 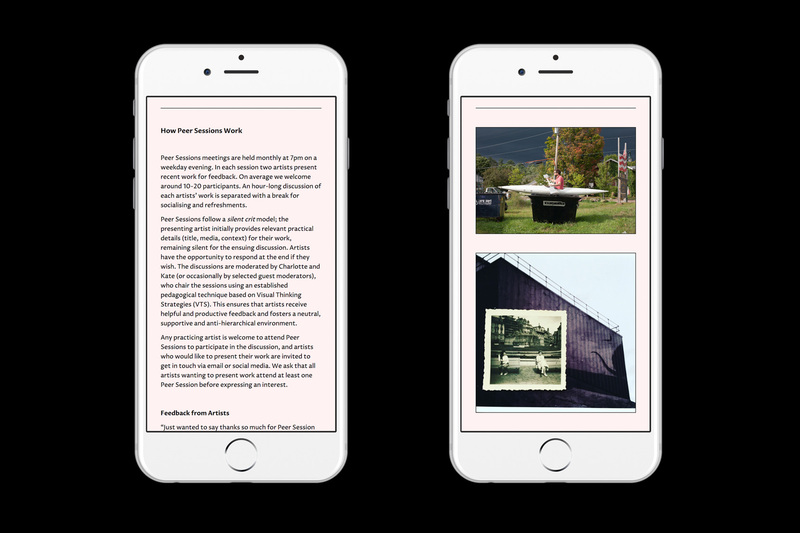 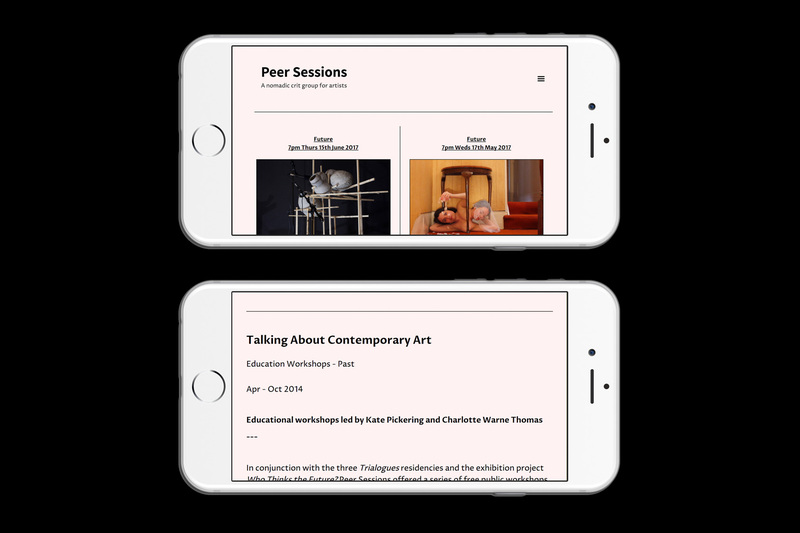 We work with artists, non-profit, cultural and commercial organisations, across digital and printed matter. 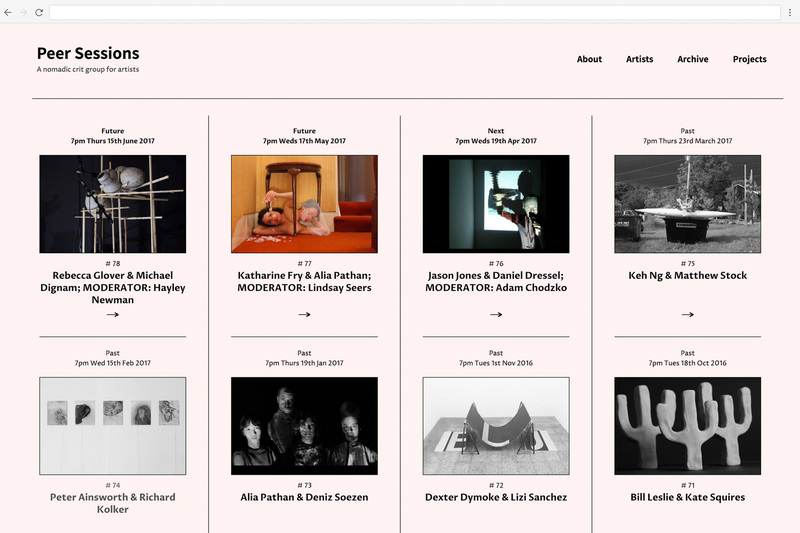 Our work includes books, publications, posters, exhibition material, identities and websites. 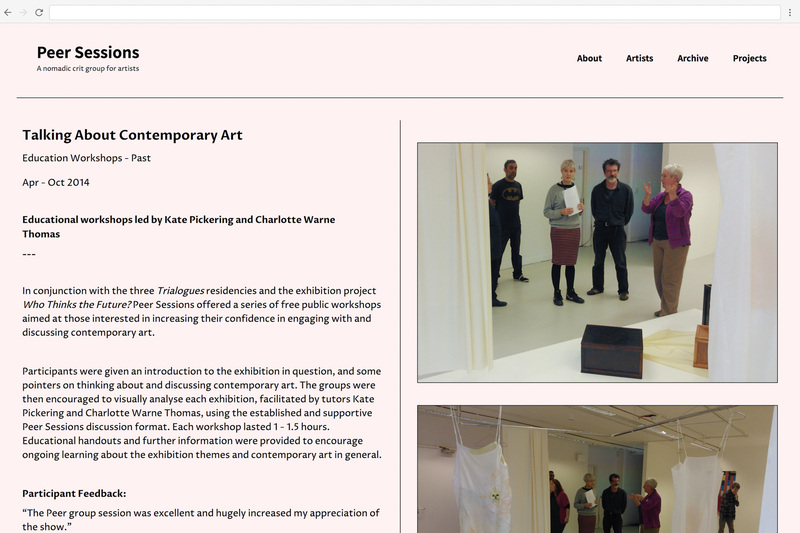 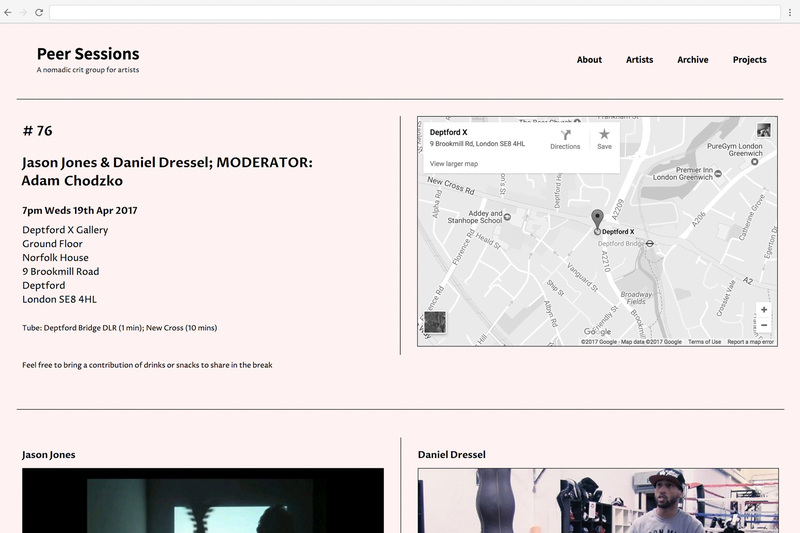 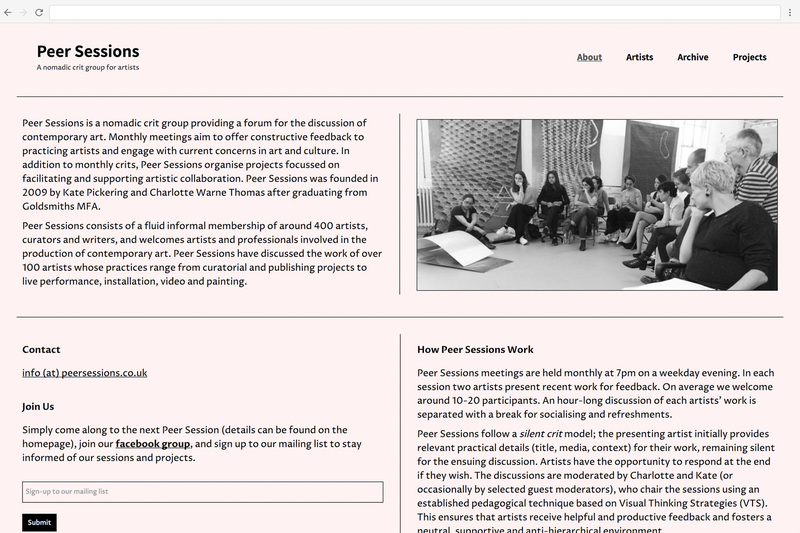 A website with CSM for Peer Sessions, 2017 - an organisation that is a nomadic crit group for contemporary artists, with projects and events.